Call 510-323-4167 for clothing alterations and dry cleaning! For over 60 years, Royal Cleaners has been serving Albany, CA, and Berkeley, CA, with exceptional dry cleaning, clothing alterations and laundry services. For three generations, we have been treating our customers like royalty! We know how important your clothing is to you, and that's why we work so hard to give you the absolute best dry cleaning service out there. We get your clothes cleaner, faster, and we do it all with our innovative, environmentally-friendly techniques. We set the standard for laundry services, and you can tell. We're the laundry service that you can trust in Albany, CA, and Berkeley, CA! For six decades, locals have come to us for all of their dry cleaning needs. That's because our staff is the best in the business. Not only can they get your clothes clean, but they're also friendly, courteous, and respectful. Combine that kind of service with our environmentally-friendly methods, and you'll see how we treat our customers like royalty. Not only do we keep your clothes clean, but we make them look great on you with our professional clothing alterations! We offer expert alterations for pants, shirts, dresses, jackets, coats and more. If you've lost a few pounds, packed a few on, or are trying to fit into someone else's hand-me-downs, we can make it work. We can even provide quality clothing restoration for vintage items, wedding wear and more. We've been in the business for more than 60 years, so you can rest assured that whatever you need, we can do it. If you're in the Berkeley, CA, area and you need to have anything at all cleaned or mended, then the choice is clear: come to Royal Cleaners today! Stop in today and mention SFGate to receive $10 off purchases of dry cleaning with a purchase of $50 or more! With over 3 generations of experience in the dry cleaning and clothing alterations business, Royal Cleaners is dedicated to keeping your clothes looking fresh and new. Delicate items of clothing such as formal wear can require specific dry cleaning procedures to remain in their high quality condition. We will take care of your items of clothing and make sure they remain in the best condition. Why bother with any other dry cleaning service? With Royal Cleaners, you can be sure that you get exactly what you're looking for. We do it all, from routine laundry services to specialized cleanings to clothing alterations. Not only that, but with great specials all the time on our laundry services, it couldn't be more affordable to get the cleaning that you've been looking for. We do it all, from laundry services to clothing alterations! Our dry cleaning services are available for all types of clothing, including wedding dresses and formal wear. For your convenience, we provide next day laundry service and same day service upon request. To make the process even easier for our customers, pickup and delivery service is available to businesses in Albany, CA, and the nearby areas. Our laundry services don't stop at clothing. We can wash all of your linens, draperies and textiles to give your home the all-over clean it really deserves. We can even renovate your pillows! Furthermore, not only are we conveniently located for those in the Berkeley, CA, and Albany, CA, areas, but since we recycle our wrappers and hangers, we're the eco-friendly choice as well. So no matter what your cleaning needs are, stop in today. Royal Cleaners has locations in both Berkeley, CA, and Albany, CA, in order to better serve our valued customers. Drop off your clothes on your way to work and pick them up the next day! 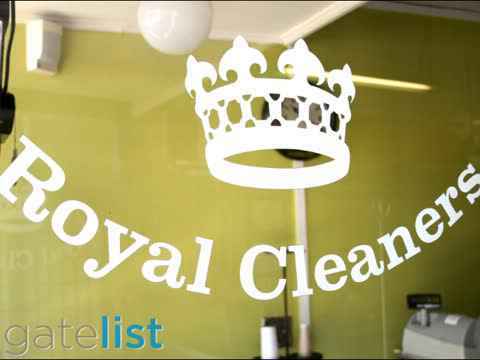 Royal Cleaners is your one-stop-shop for the highest quality in dry cleaning and alterations. Our knowledgeable and experienced staff is here to provide exceptional service. For more information, call us today at 510-323-4167. You can also visit our main website. At Royal Cleaners, our family tradition has been to meet the needs of our customers, so stop in today! Dry Cleaners, Dry Cleaning, Laundry, Laundry Services, Clothing Alterations, Clothing Repair, Wedding Dress Preservation, Rug Cleaning, Uniform Cleaning.